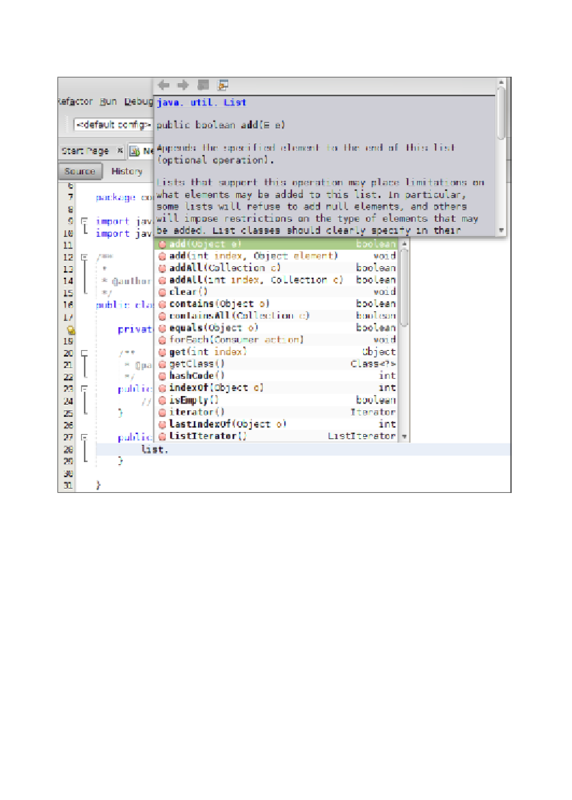 Notice how the JavaDoc for the selected method is automatically displayed. abbreviations into the full code snippet it represents. System.out.println(""); , with the caret placed between the two double quotes.